The focus of this kit is balance. Not only do you feel planted and confident with these coilovers; you get a ride that won't break your back on every single little bump in the road while you're daily driving. KW Suspension didn't want to make a kit for just one purpose when they were thinking about the V1's. This suspension is flexible enough to work well in just about any driving environment. It's stiff enough to give you that race car feel in the corners, but soft enough to absorb any sort of bump you'll experience every day on the road. And on top of the feel of the suspension you'll get a nice drop that lowers the center of gravity of your Mustang for better cornering response, and less body roll, lift and dive. 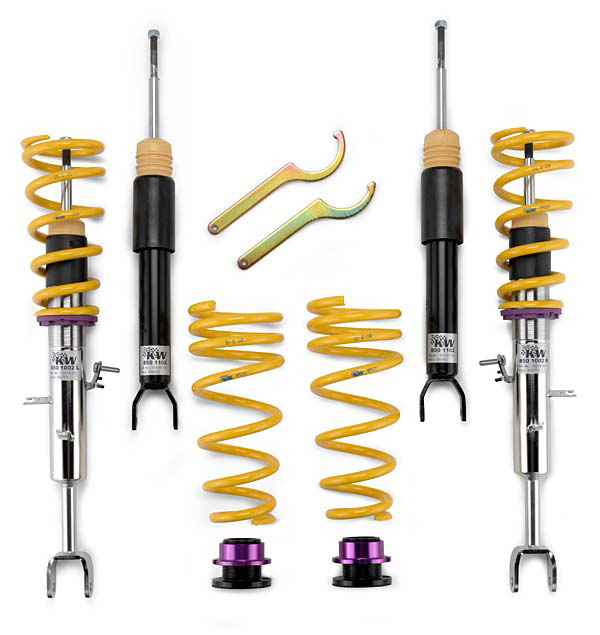 KW is one of the most inclusive suspension brands in the world! 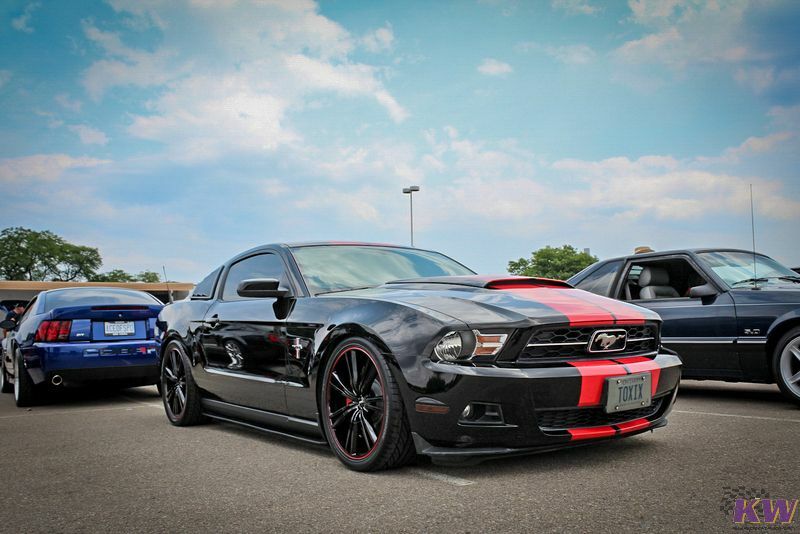 And their V1 Coilover Kit for the Ford Mustang proves it. This suspension setup is made to do three things: get a great lowered stance, give the driver a comfortable yet stiff ride, and enhance the performance of your Mustang in both the corners and the straights. 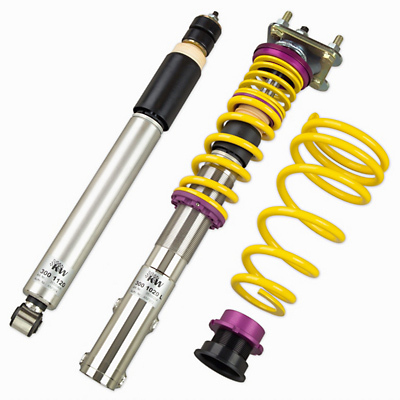 The V1 series kit is made to do give you benefits in just about every aspect of suspension performance. The KW V1 Coilover Kit for the Ford Mustang is sure to put a smile on your face when you're ripping through the corners or even just cruising through town. So make an order today to give your ride a better look and feel. Give our product experts a call at 714-582-3330 if you have any questions or need any further info about fitment and installation.